Shira made me quite the treat as an appetizer for lunch today: mozzarella sticks! 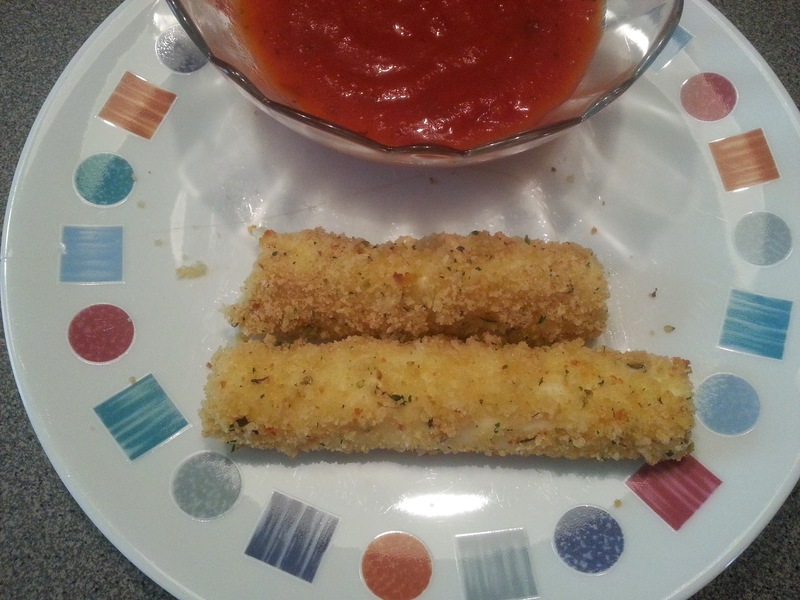 Apparently: Panco + cheese sticks + love (and a few other ingredients) make for a very tasty mozzarella stick. The recipe tastes like it was fried, but it wasn't. This is the second time in the last few weeks Panco has made it into my diet. I'm not exactly sure what a Panco is, but it sure is tasty. I also love that I've found yet another cheese related treat I can make at home. Who knew? So Cheesy. So Nutty. So Yummy.